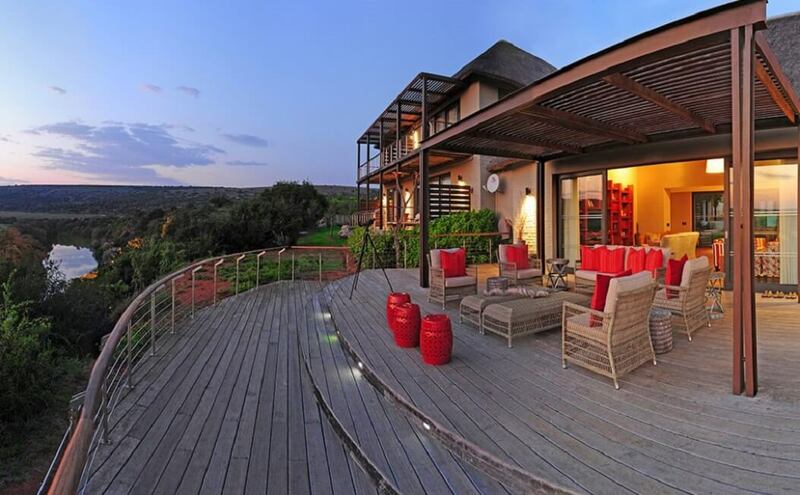 At Shamwari Private Game Reserve, we believe in conserving a vanishing way of life. 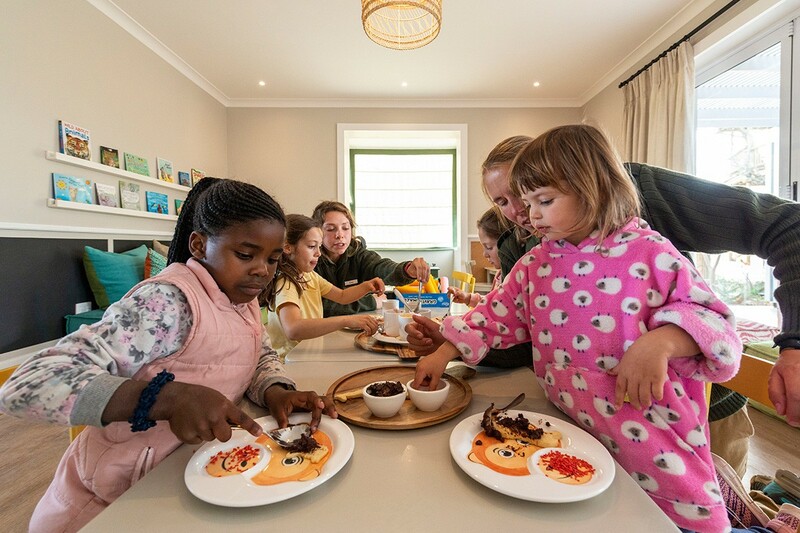 That’s why we offer family safari holidays, where children and adults alike can be educated about our conservation practices all within a luxurious setting. 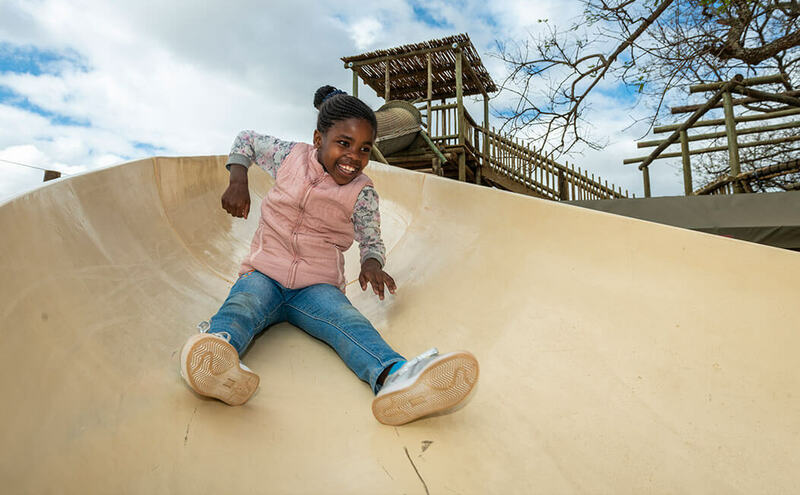 You can also rest assured knowing that Shamwari is a malaria-free area, making it perfectly safe for you and your family. 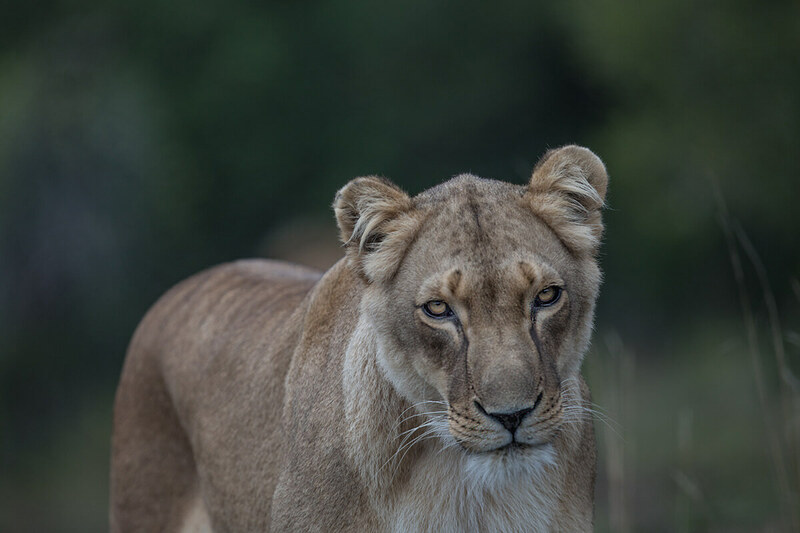 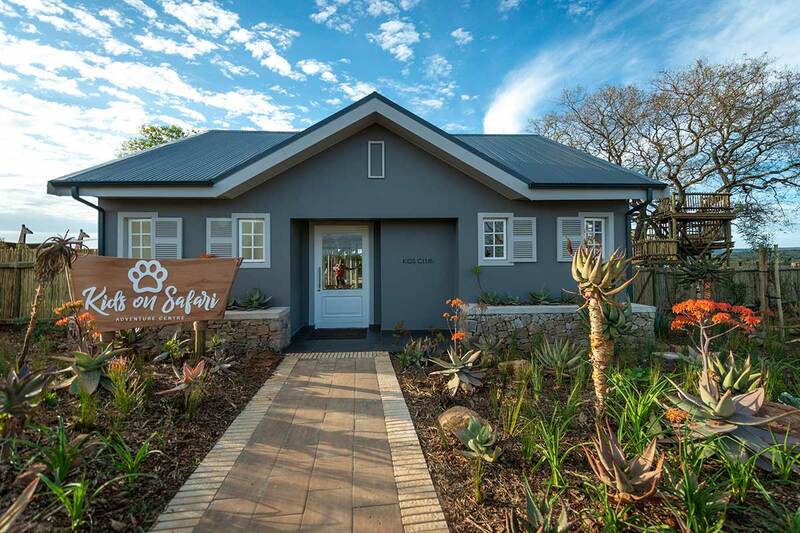 Visits to the Born Free Foundation Big Cat Rescue Centre are focused on promoting the conservation of species and the protection of habitat whilst maintaining a humane and compassionate approach to the welfare of animals. 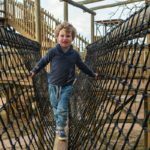 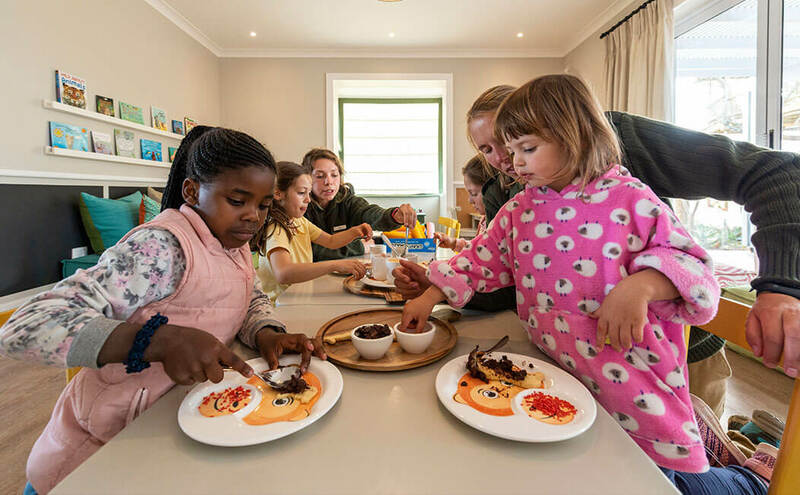 While kids under the age of 4 years old are not permitted on game drives, there are a host of activities for them to enjoy. 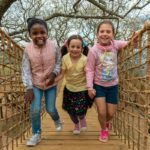 We offer a children’s coordinator at Riverdene, and for an additional fee, we have a childminding service available, leaving your kids in safe hands. 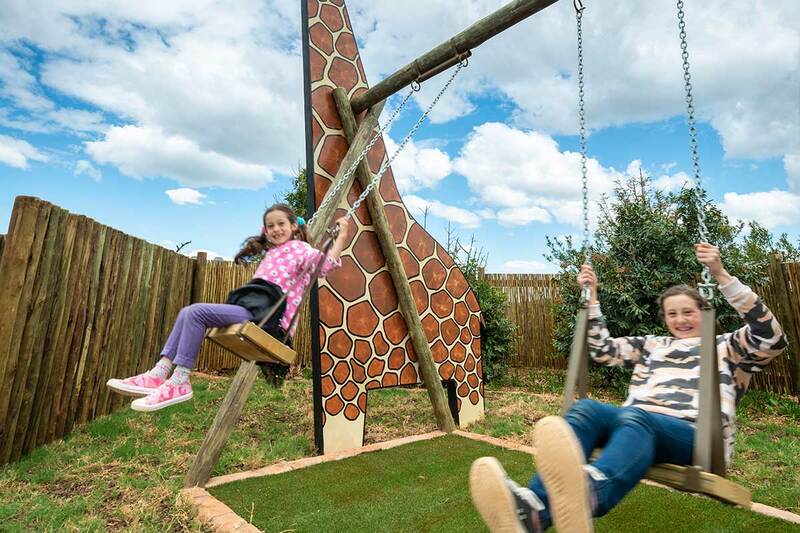 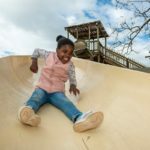 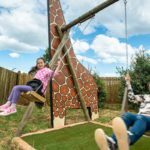 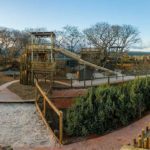 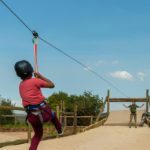 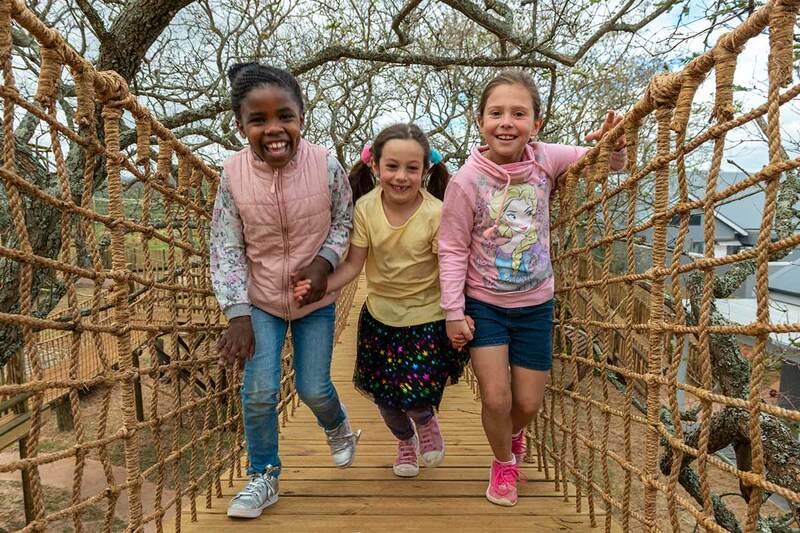 Children staying at Shamwari Private Game Reserve have the chance to go wild at Riverdene’s Adventure Centre. 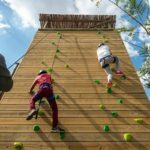 In addition, there are swimming pools and many more activities to keep the active bodies happy. 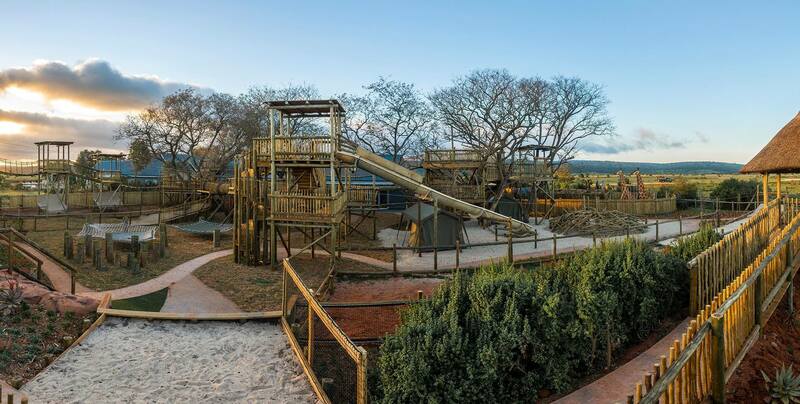 Upon arrival at Riverdene Family Lodge, parents can register their kids for the Kids on Safari Adventure Centre. 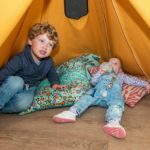 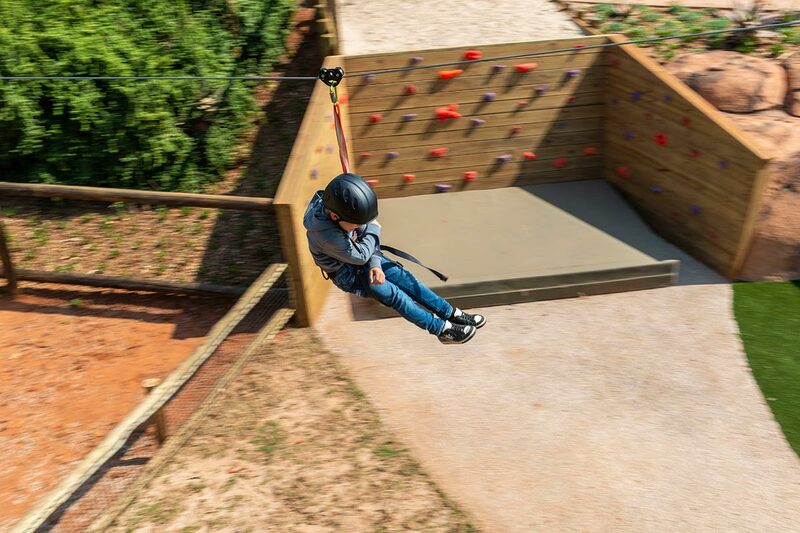 Kids will have access to both indoor and outdoor activities throughout their stay. 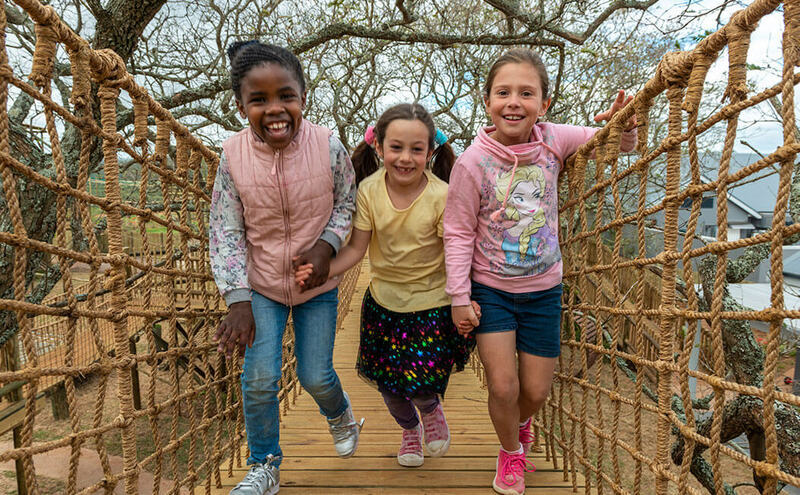 Child minding is available at an additional cost for children younger than 4 years as they are too young to join game drives. 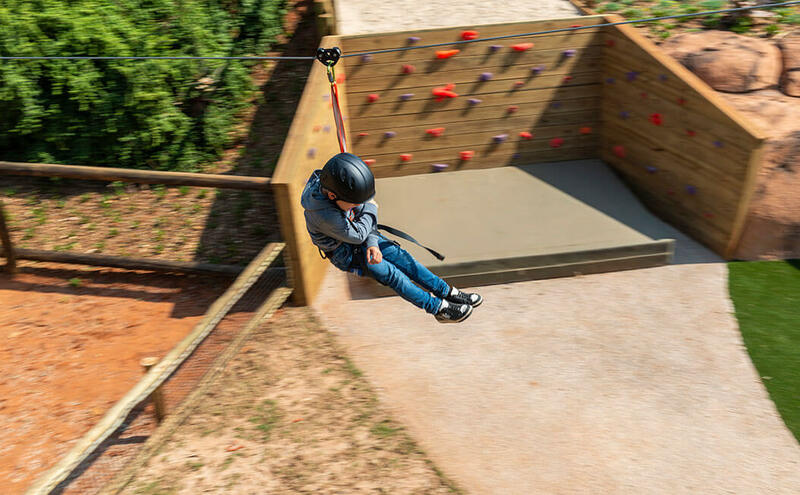 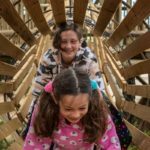 A must-visit for children seeking sky-high fun. 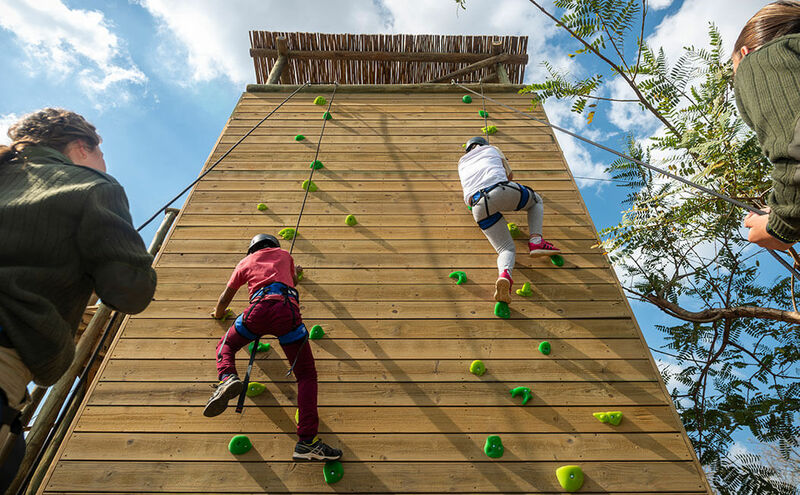 With various heights and distances, this activity can help to develop your child’s coordination skills while having a blast. 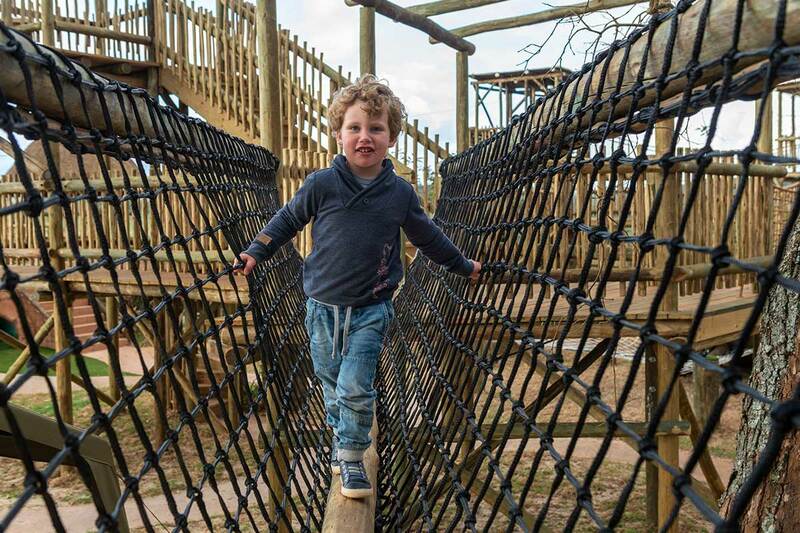 See how strong your little warrior is when they tackle our rock climbing walls. 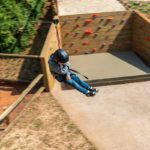 This adrenaline-rushing exercise will keep their hands busy and their bodies moving. 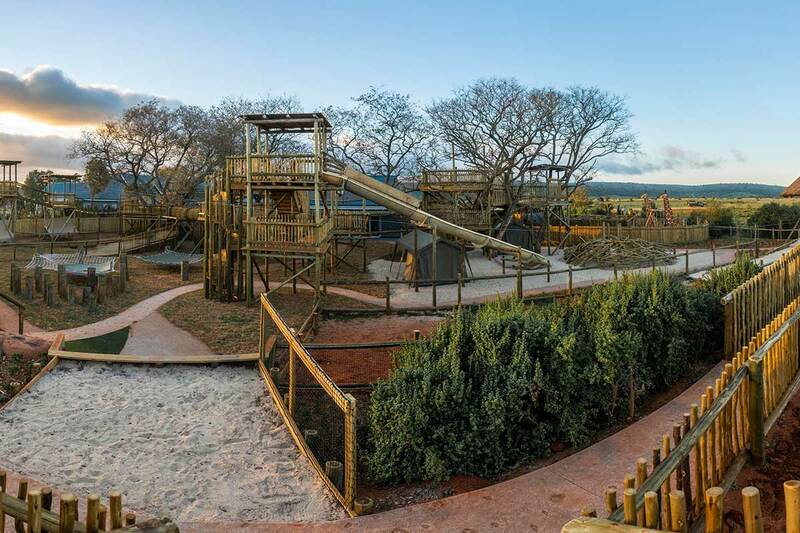 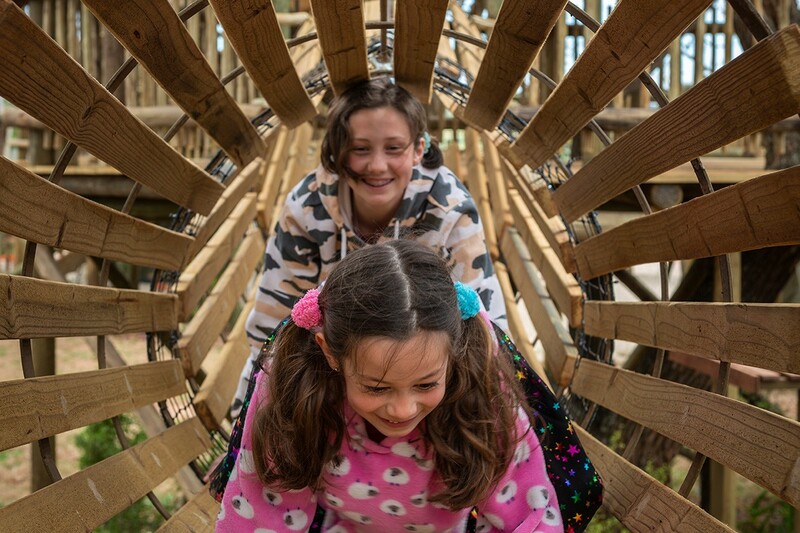 Let your child feel on top of the world when they explore the game reserve from the treetops. 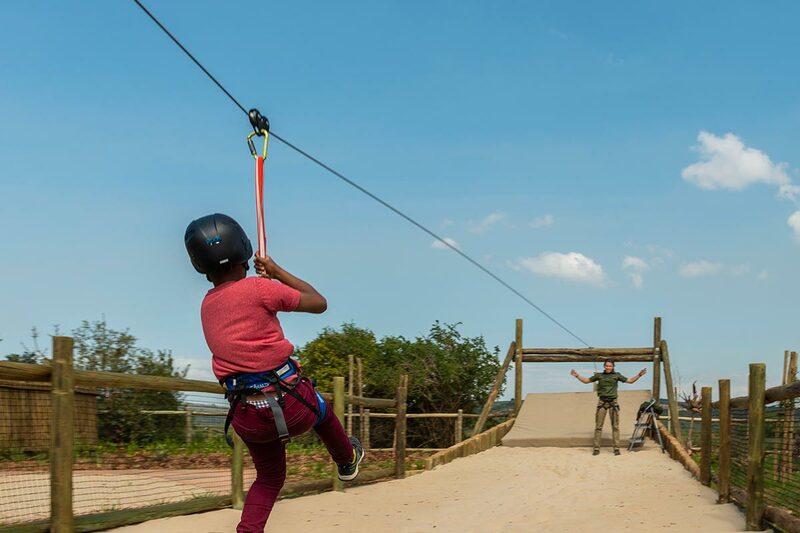 At Riverdene Family Lodge, everything is an adventure. 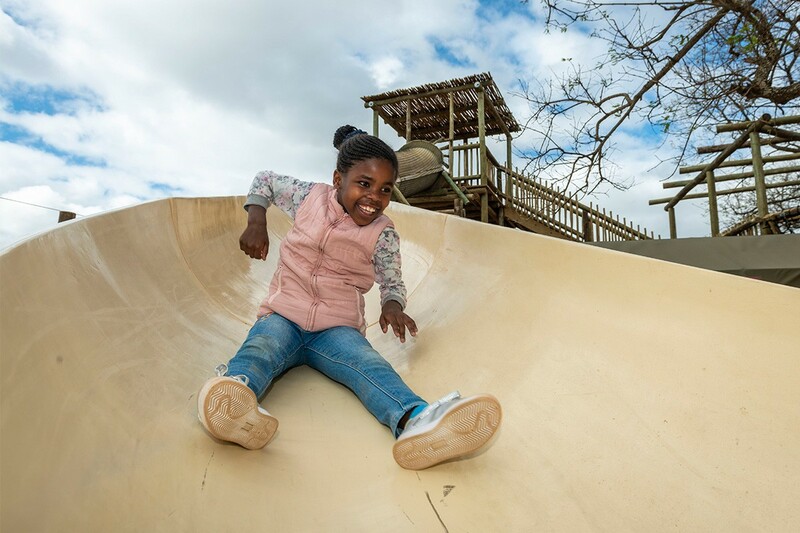 Keep your child active as they slip, slide and splash on our adventure slide. 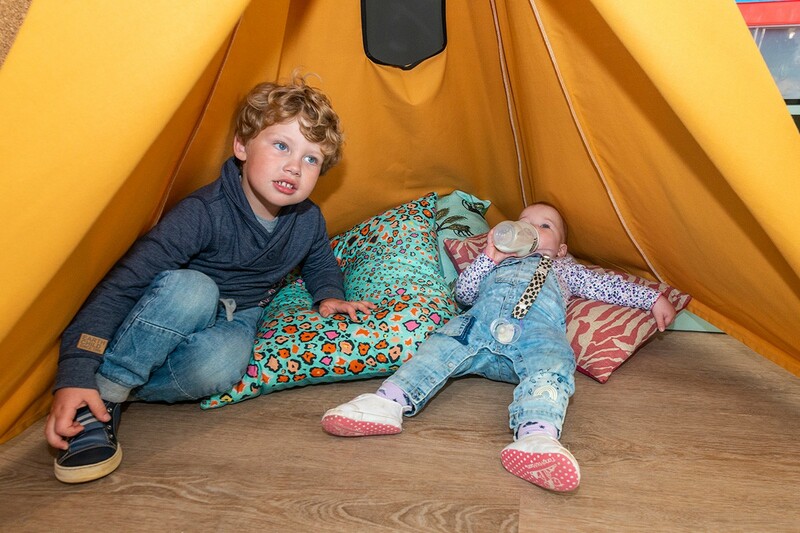 We want to keep your child’s imagination alive and buzzing with ideas. 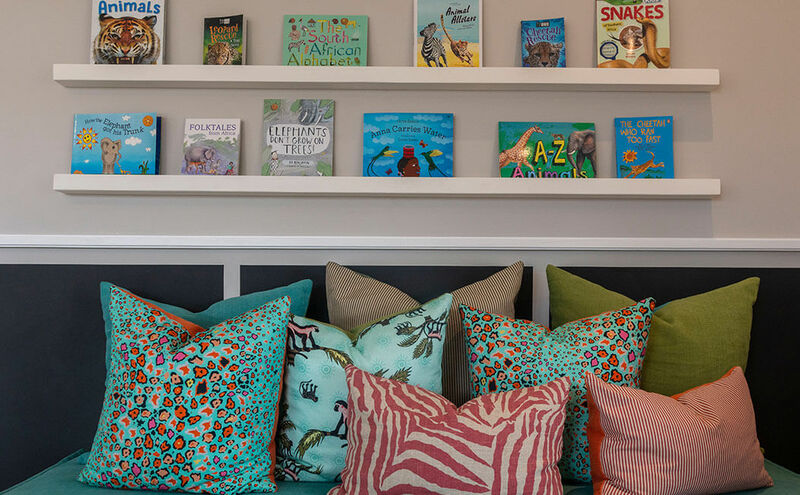 Our Kids Club library offers a variety of books to help them learn and grow. 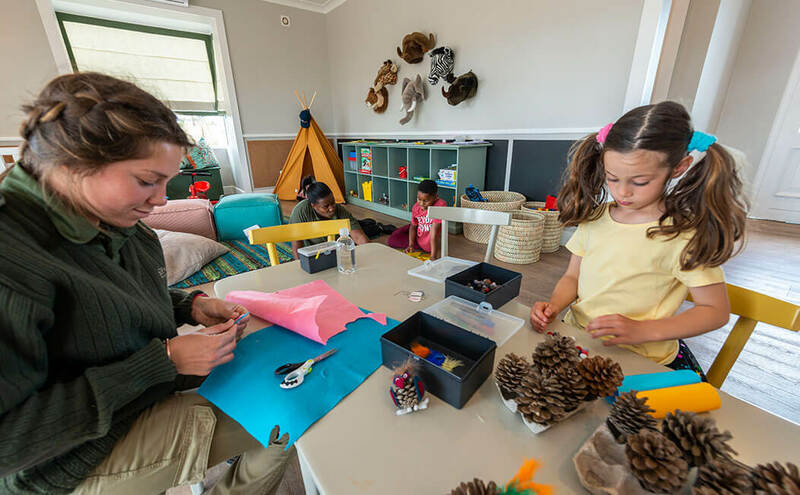 Make memories while creating works of art with your little one. 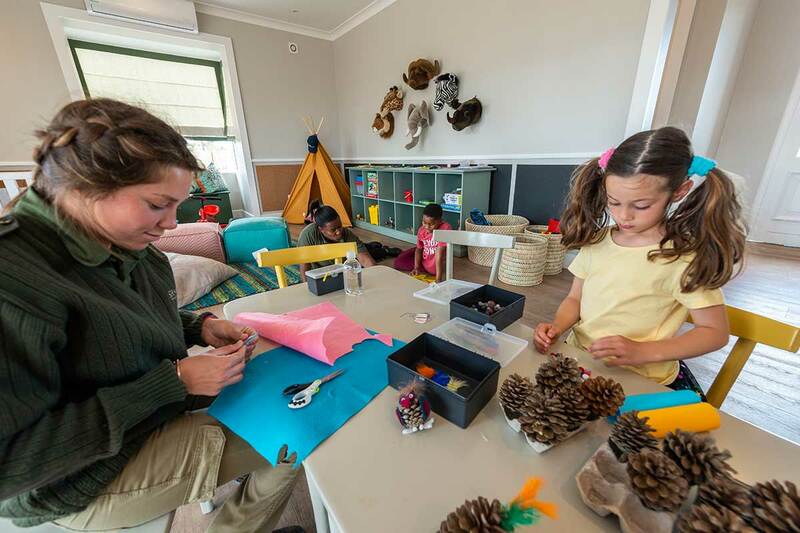 Together we can help them to develop their creativity and fine motor skills. 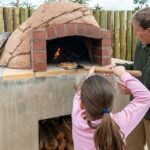 Explore your child’s inner MasterChef by allowing them to create their own pizza recipe at our outdoor wood-fired pizza oven. 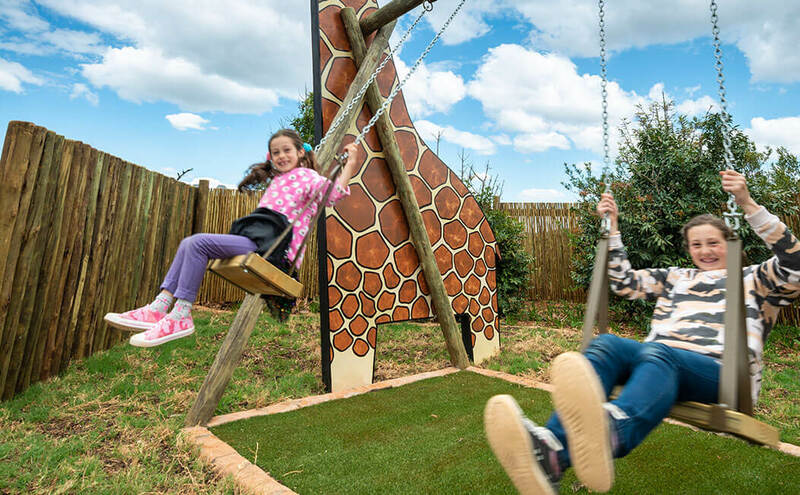 While you’re taking a breather in the sun, you can rest assured knowing that your little one is burning up their energy on the playground. 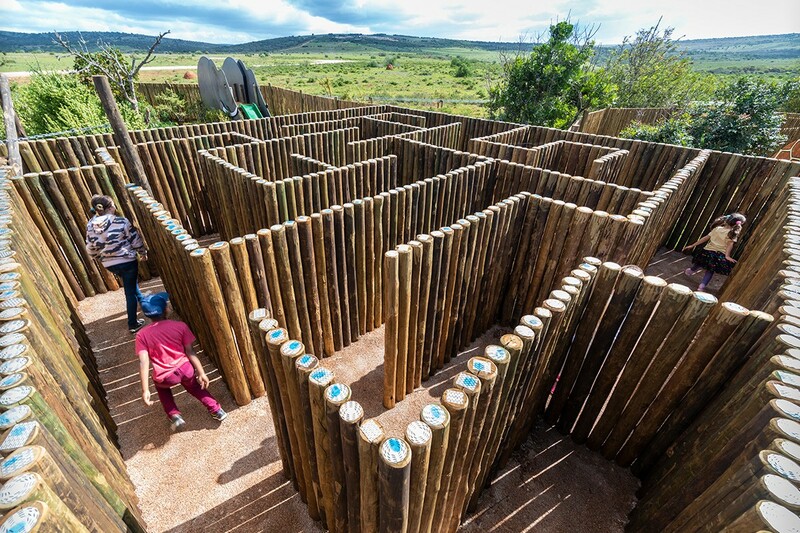 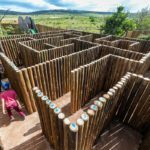 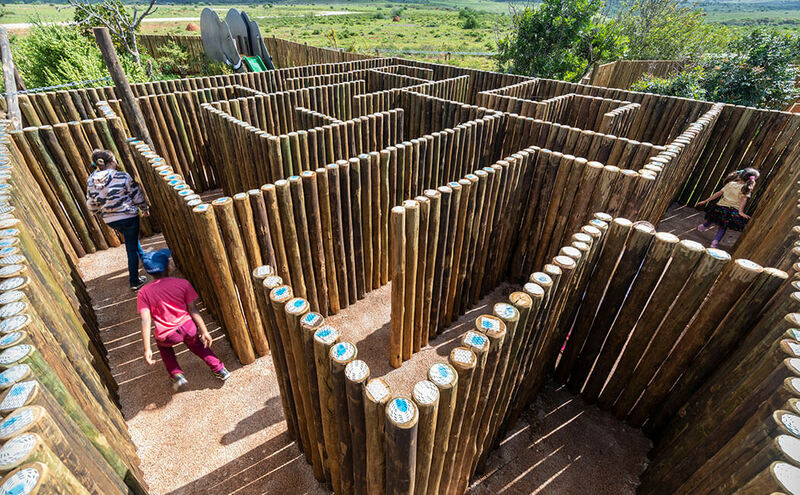 Share a giggle with your child when you test their ability to solve problems in our maze. 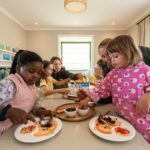 As a leader in conservation, we know how important it is to educate the future caretakers of the earth. 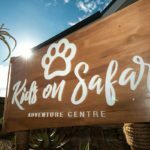 That’s why we’ve established several awareness centres that aim to shine a light on the plight of nature and the environment. 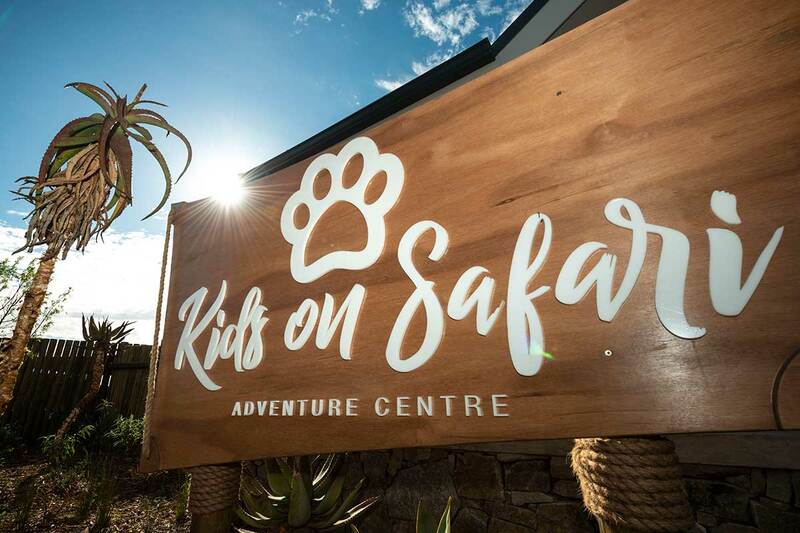 In collaboration with the Born Free Foundation, the Big Cat Rescue and Education Centres aim to draw attention to the plight of wild cats, confined in impoverished, captive environments throughout the world. 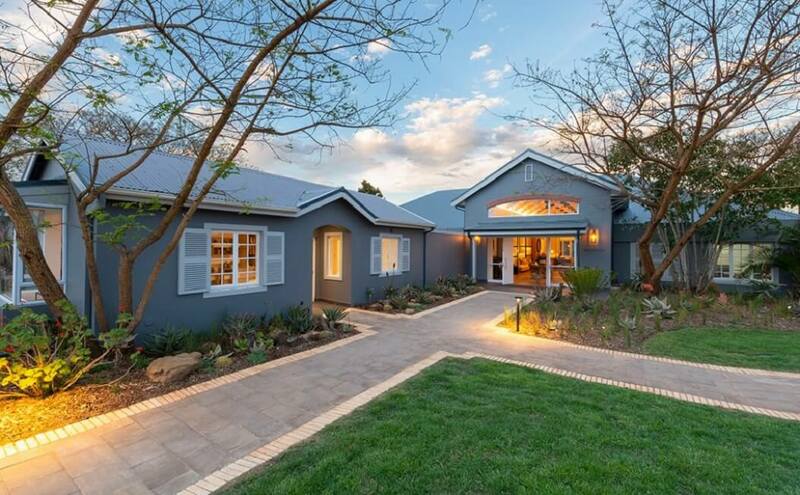 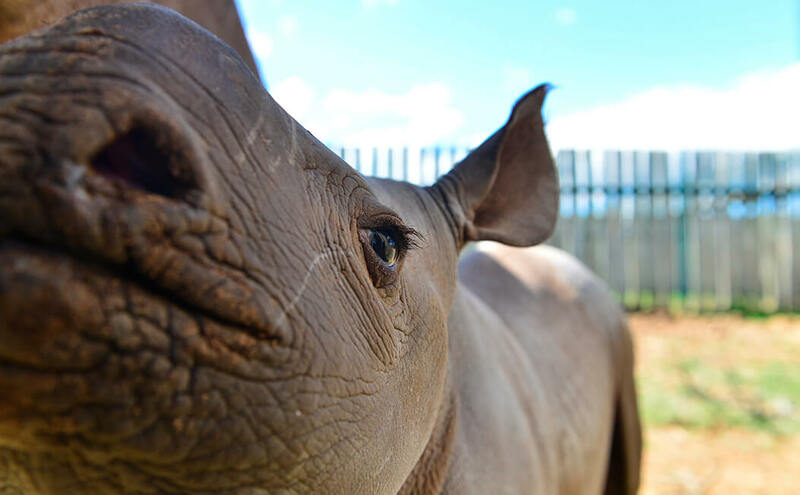 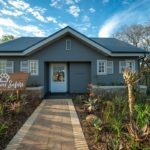 The Shamwari rehabilitation centre is amongst the best in Southern Africa and is fully registered to provide veterinary care to young, abandoned, orphaned or injured animals. 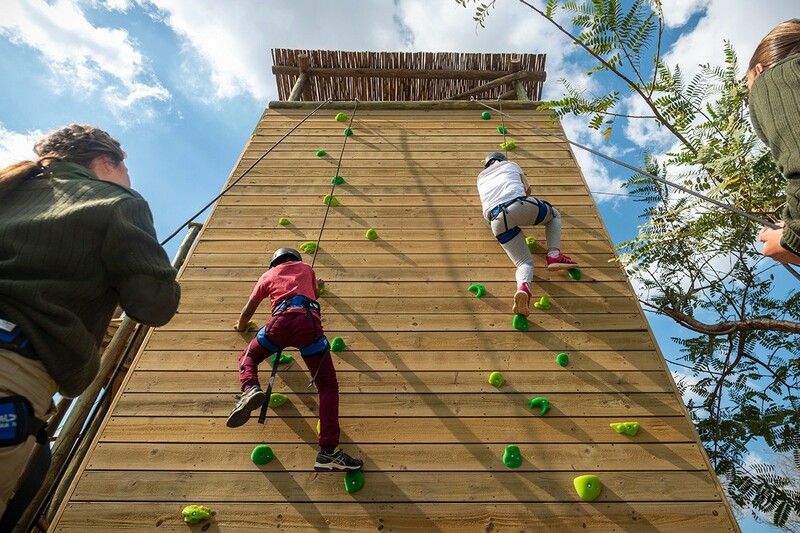 There is no entrance fee, as a visit to this centre is included in your stay. 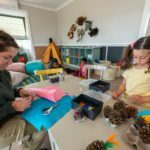 The wildlife rehabilitation centre does however appreciate any donations. 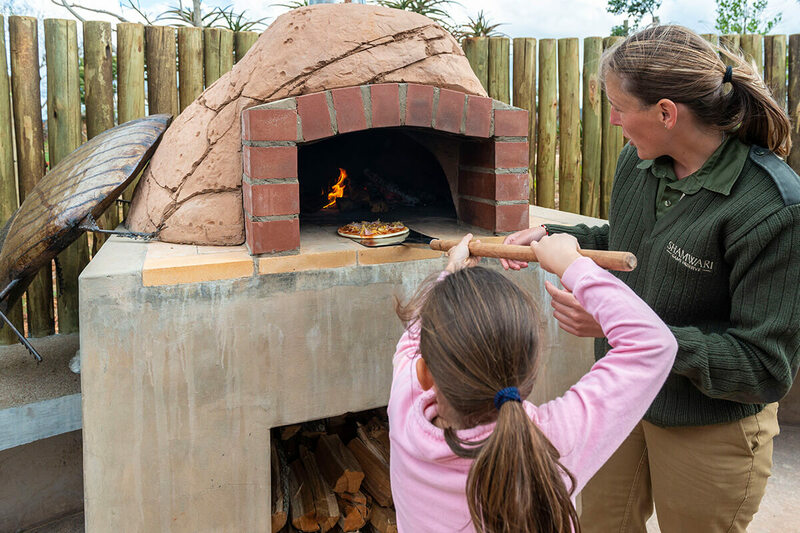 Our range of kids’ activities are sure to stimulate and engage your children on their safari holiday.